ABA Tort Trial and Insurance Law Section - Tort and insurance practice section of the American Bar Association. Business Insurance - Weekly insurance news publication. 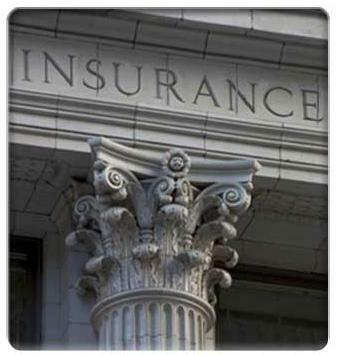 California Department of Insurance (CDI) - Regulates, investigates and audits insurance business to ensure that companies remain solvent and meet their obligations to policyholders. California Insurance Code - Links to all chapter sections. California Life & Health Insurance Guarantee Association - A statutory entity created in 1991 when the California legislature enacted the California Life and Health Insurance Guarantee Association Act. The guarantee association is composed of all insurers licensed to sell life insurance, health insurance, and annuities in the state of California. In the event that a member insurer is found to be insolvent and is ordered to be liquidated by a court, the Guarantee Association Act enables the guarantee association to provide protection (up to the limits spelled out in the Act) to California residents who are holders of life and health insurance policies, and annuity contracts, with the insolvent insurer. Also see FAQ. Individual Mandate - A requirement by law that certain persons purchase or otherwise obtain a good or service. In the United States, the Patient Protection and Affordable Care Act signed in 2010 imposes a health insurance mandate to take effect in 2014, based on the Congressional power to regulate tax. Insurance - Overview and resources provided by Cornell University School of Law's Legal Information Institute. 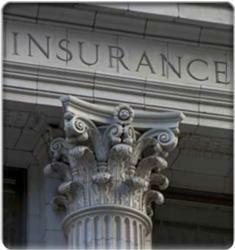 National Association of Insurance Commissioners (NAIC) - Organization of insurance regulators from all 50 states, the District of Columbia, and the four U.S. territories. Search the Annotated Constitution of the United States - Search for term "insurance."